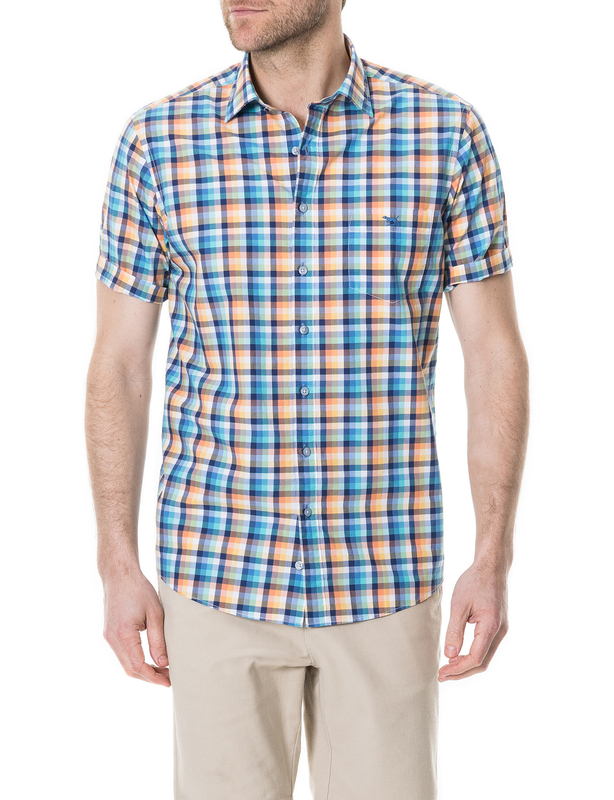 A short-sleeve cotton-poplin shirt patterned with a multi-coloured check. The soft pastel colours of the shirt are complimented with a spread collar and Rodd & Gunn branded buttons. Cut in an original fit for every day comfort and pre-washed for softness and to prevent shrinkage.